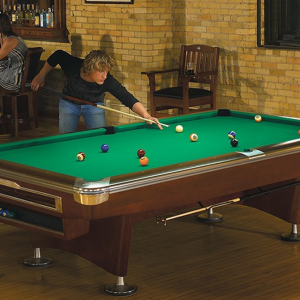 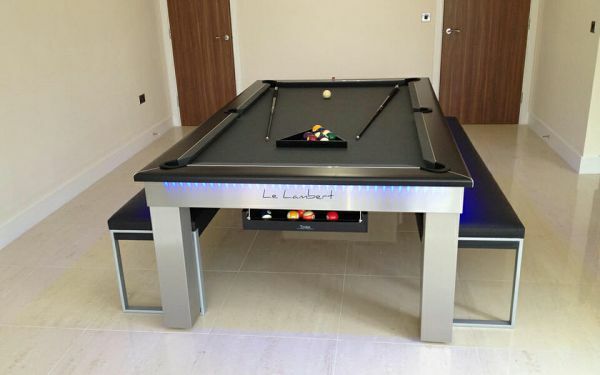 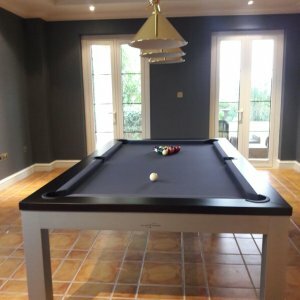 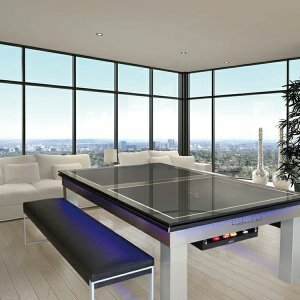 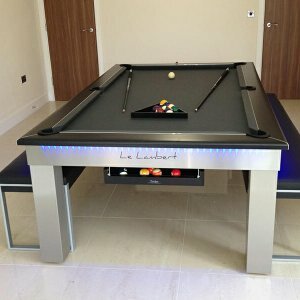 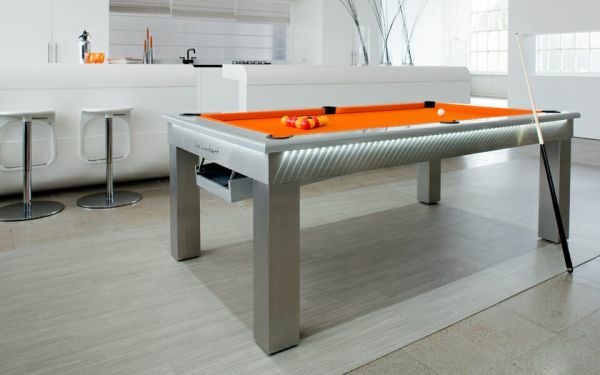 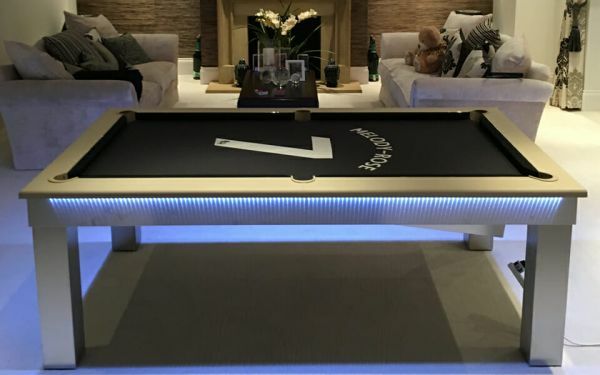 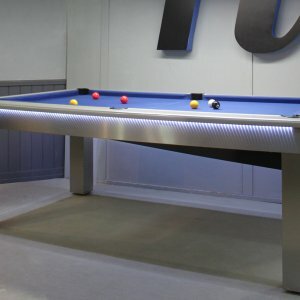 Categories: Dining Pool Tables, modern, Pool&snooker, Toulet. 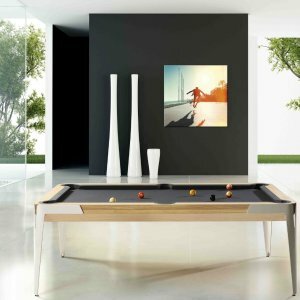 Toulet and Christopher Lambert have teamed up for the most beautiful adventure: giving birth to a billiard table high-tech game with a contemporary design. 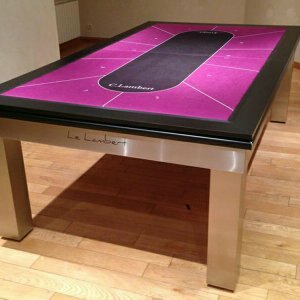 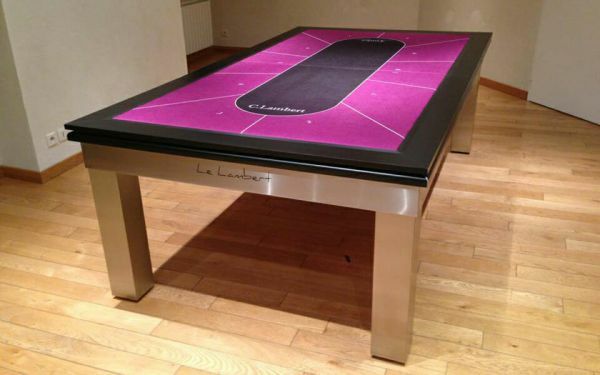 Billiards Lambert is approved by the French Federation of Billiards. 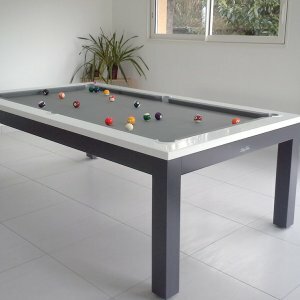 100% Customizable. 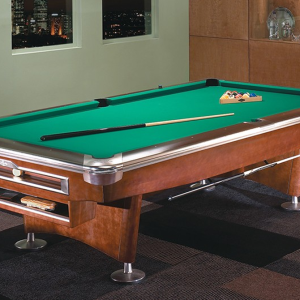 Wood color of your choice (matte, glossy, or natural finish). 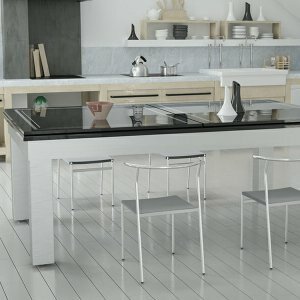 Cloth: choose from more than 28 colors! 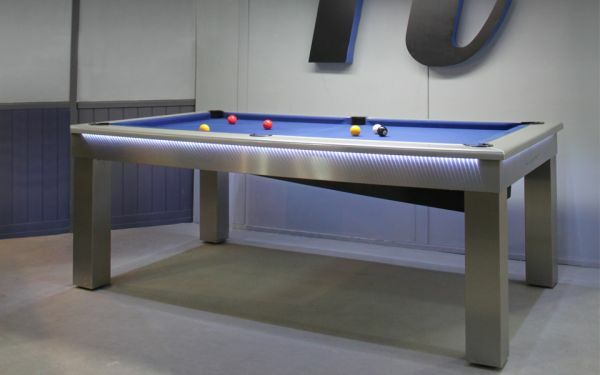 100% Quality Competition-standard pockets, 19 mm ground one-piece slate. 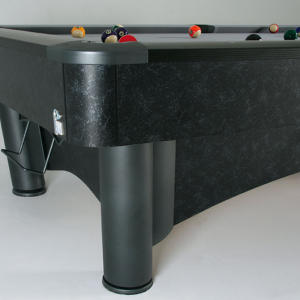 The L-shaped rubber cushions meet all competition standards. 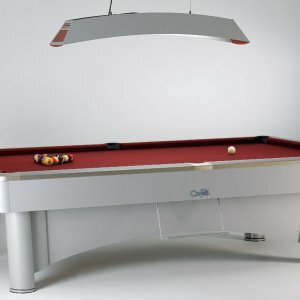 Soundproof centralized ball return. 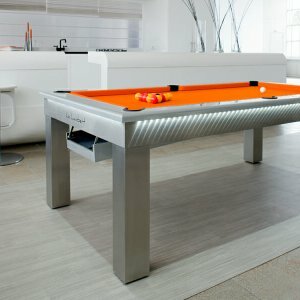 Iwan Simonis competition-quality cloth. 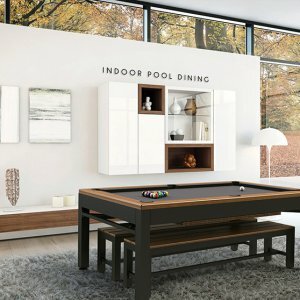 100% Modular. 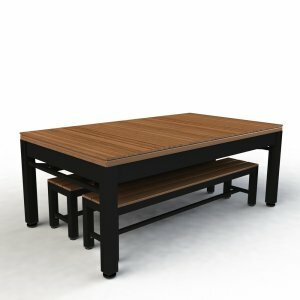 The Lambert can easily be turned into a dining table with the addition of a wooden or glass top. 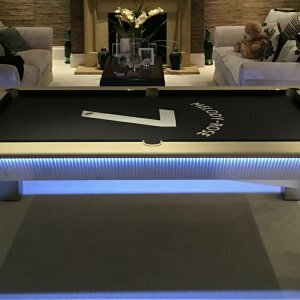 Available from 6ft to 8ft. 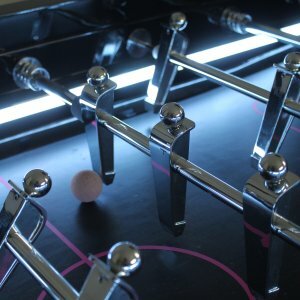 65 mm diameter adjustable feet for the best possible flexibility.